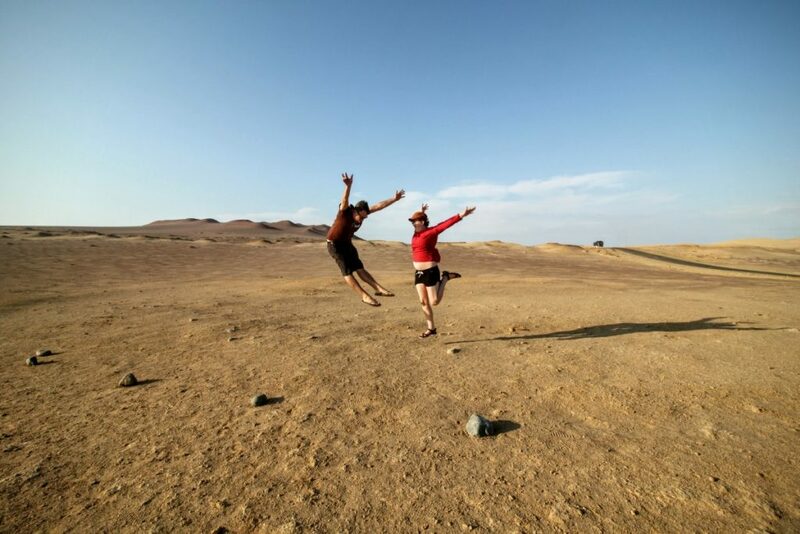 The Paracas Peninsula is home to the Paracas National Reserve, one of the most important national parks in Peru. 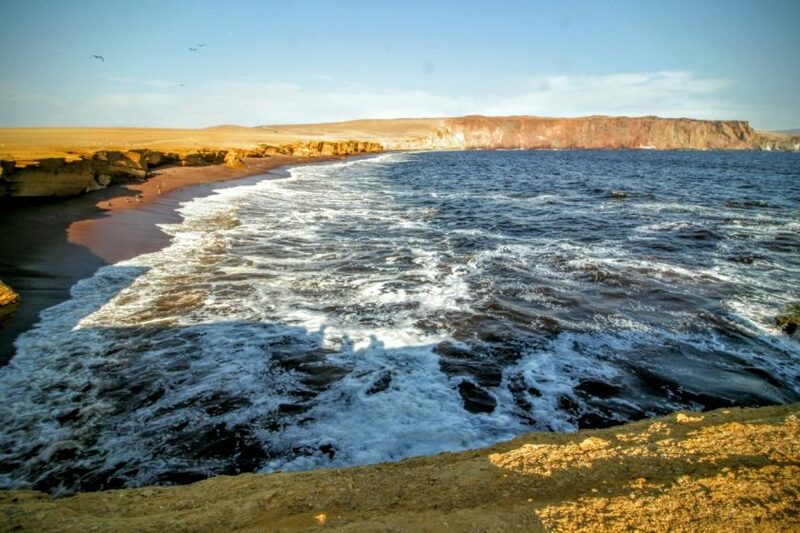 It encompasses the dunes to the East of Paracas Village, but 65% of the park is marine reserve, protecting the incredible bird and marine life. 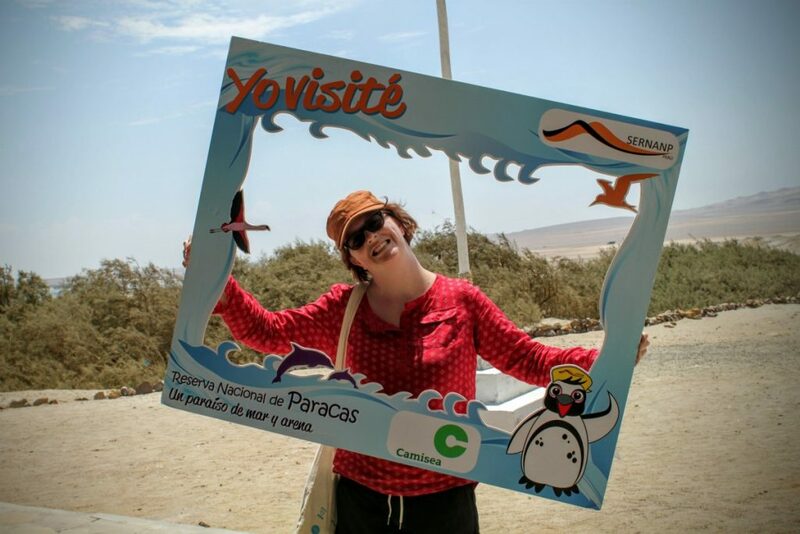 You can book 4 hour bus tours from Paracas for around 30 soles. 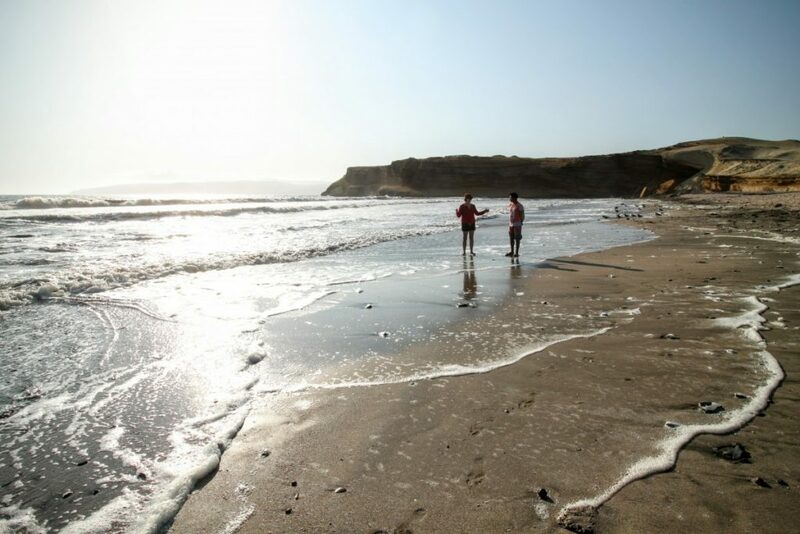 These tours take you through the park and museum, and include a stop at the beach for a swim. A hot, sweaty bus didn’t sound like Renee’s idea of a good time, so we went for the other option: quad bikes. 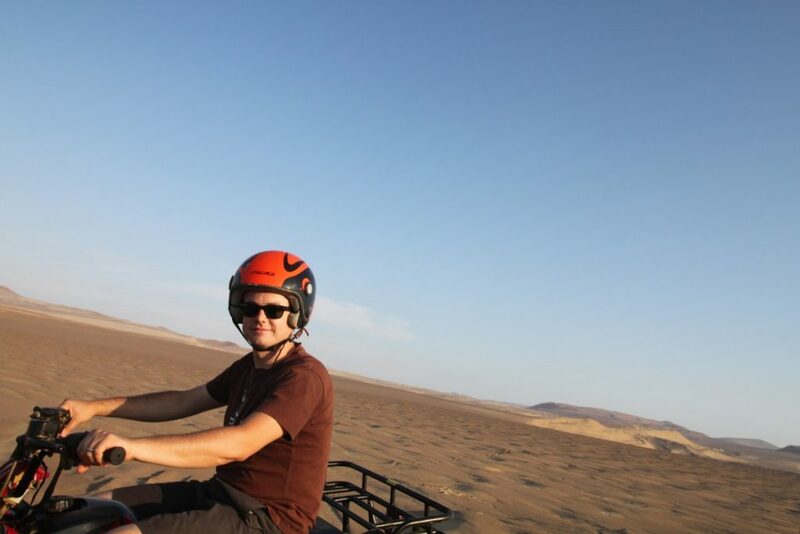 Quad bikes are more expensive; we couldn’t talk anyone down from 40 sol/hour, and the tour takes 2 hours or so. 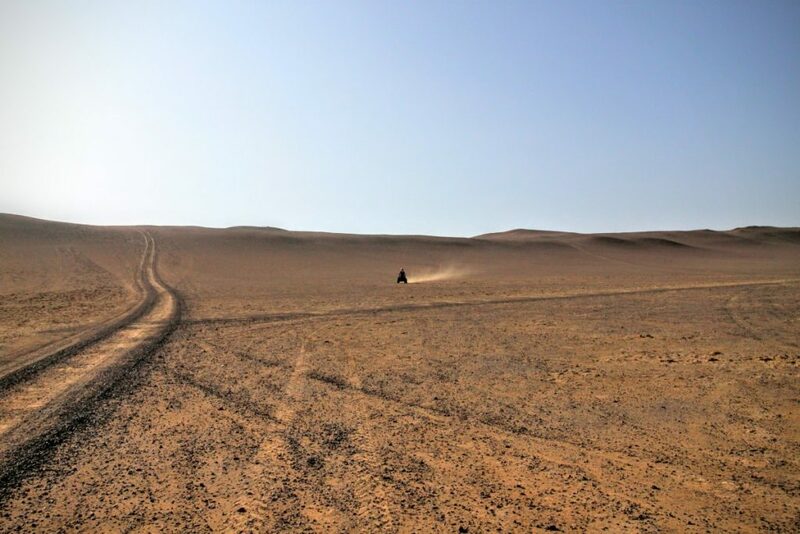 The great thing about the quadbike tours is they go whenever you want. There’s no waiting around for a set departure time or pooling into a bigger group to fill up a bus. Our tour was just the two of us and the guide. Leave around 4:30pm for the slightly cooler late afternoon sun and the best lighting for camera nerds. After a couple of cases of rider error, we set off towards the park. Me, being the courteous rider, made the mistake of indicating at an intersection. Turns out the indicator switch was actually a kill switch for the engine, leaving me to coast around the corner. Lesson learned: never indicate in Peru. 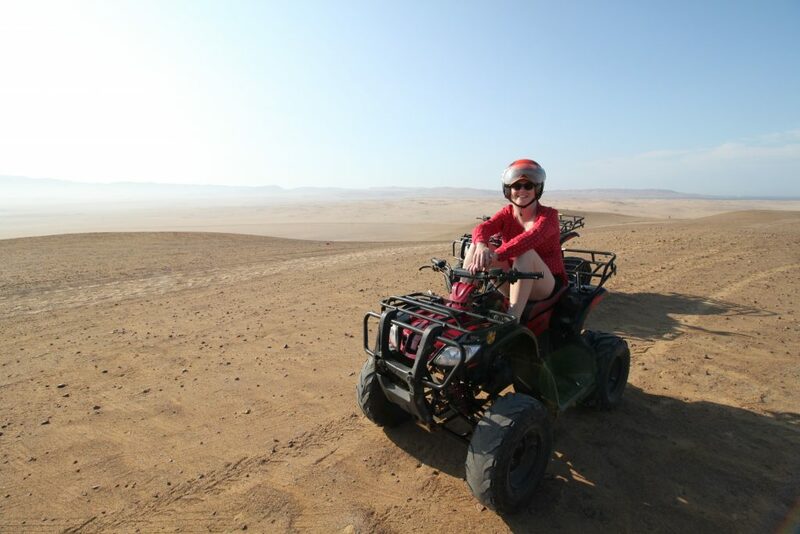 The quad tours take you into the park, to a couple of beaches, and through the dunes. On the way back you stop and have a look at some of the marine fossils in the dunes. Marine, because this whole area was under water for hundreds of thousands of years. 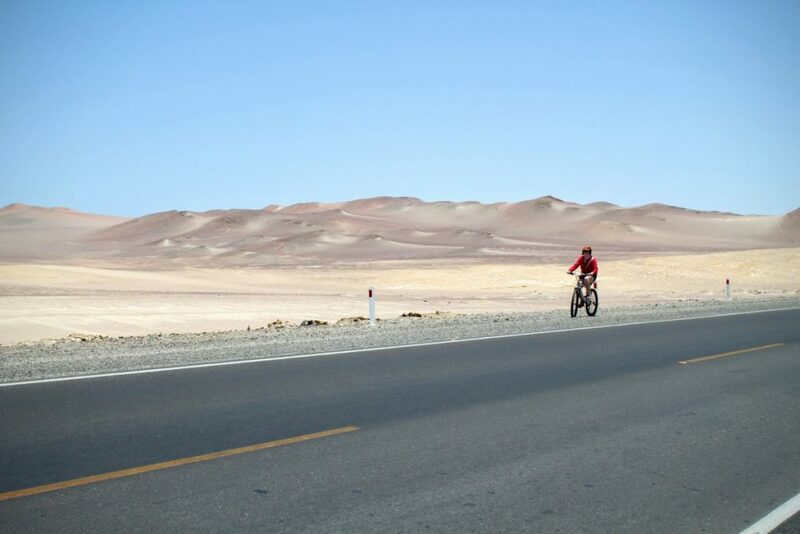 Quite a bit of the tour is riding on roads, but the jaunts through the dunes are a lot of fun. The real appeal of the quads is the openness and freedom (and doing skids). You can’t complain about the venue; dunes on one side that seem to go on forever, and on the other, beautiful coastine. And, you get to ride quad bikes. We rode past the museum on quad bikes but didn’t stop in. So, the next morning we reused our park entry tickets and headed back on bicycles. Believe it or not, this was Renee’s idea. The ride is pretty easy. The museum is about 6-7km out of town on the more or less flat main road. Just keep to the edge because you will be passed by quite a few bus tours and trucks carting salt for export to the USA. 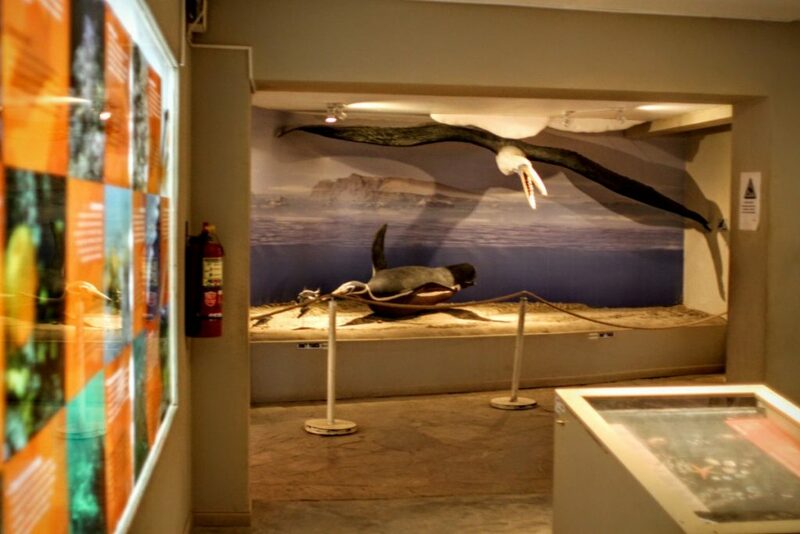 Entry to the museum is included in the park entry fee. Within, you will find a wealth of information about the natural history of this diverse and important ecosystem. You get filled with knowledge, then the museum goes in hard with a dire warning about climate change. I get incredibly sad when I think that we might be over here visiting such an incredible and diverse natural environment before it is destroyed. At home there can be “serious debate” on whether the climate is even changing, while all around we are already seeing the consequence. It’s infuriating. Sorry to end on a downer. 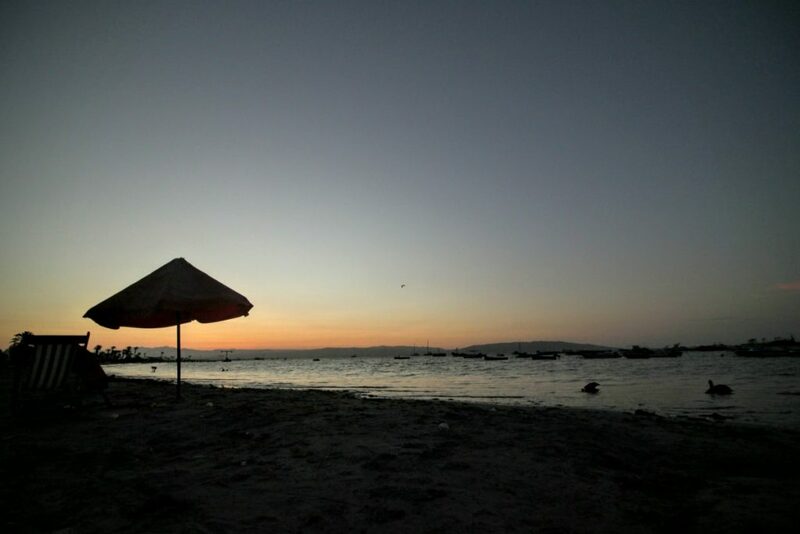 Paracas is beautiful and reminds me a lot of Southern Yorke Peninsula. Hopefully we get our act together.